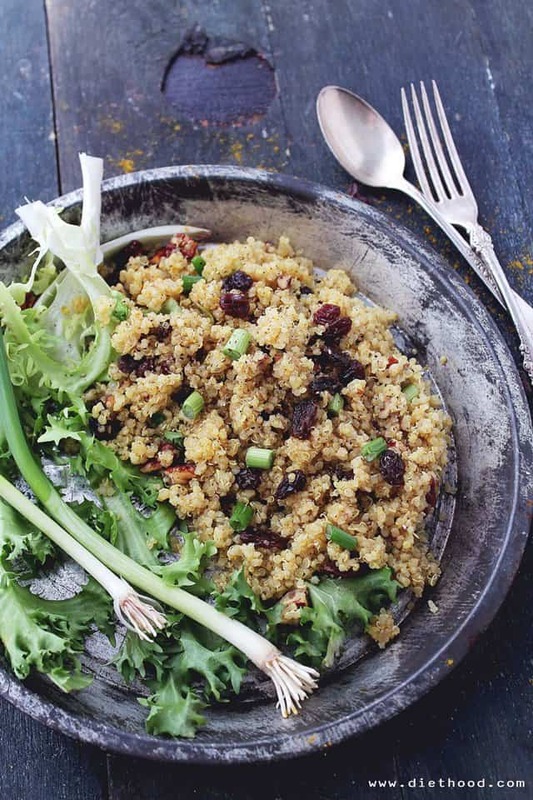 Crunchy pecans, sweet raisins, and flavorful curry powder make this Curried Fried Quinoa the perfect warm and light side dish. There are things I just can’t seem to figure out. Like, how many dryer sheets should you use per load? I mean, really. How many do you use? 2? 3? 1?! Or, “The Real Housewives”. How are they housewives when many of them are not housewives – they are single! Also, I can’t figure out why people say, “hey, how are you?? ?”, as they are walking right past you at the mall. Really? If you want to know how I am, shouldn’t you stop, collaborate, and listen? I am also having a hard time figuring out who would win in a fight – Chuck Norris or Jack Bauer? And, do frogs have ears?! And why do your parents AND grandparents have the best food in their fridge? Always. Maybe I should just stay in the kitchen where I CAN figure things out. At the very least, I can figure out how to make a delicious Fried Quinoa. Holla! Sometimes you just need something spicy, something fried, and something good. Also, sometimes you just wanna bite into something new. I had no intentions in frying the quinoa until I found myself in an OMGIneedfriedfood! mode. I was just going to make a quick lunch recipe for yours truly, similar to Dorie’s Quinoa, Fruit, and Nut Salad, until this little voice in my head said, fry it fry it FRY IT! Ummmmmm. K? So I made it, bit into it, LOVED it, took a picture of it, and boom! In yo’ face! Literally. Enough rambling. 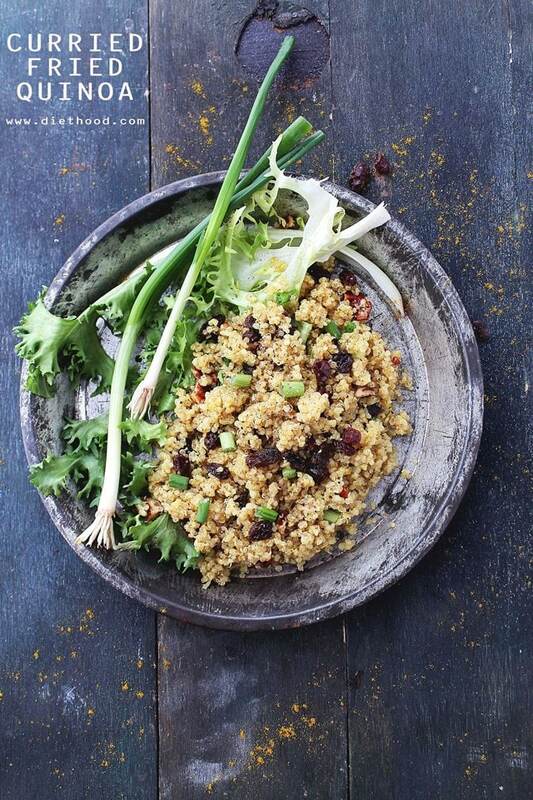 We need to get to the recipe so that you can hop into your kitchen and make this quinoa dish for the Fam. It will take you all of 25 minutes. 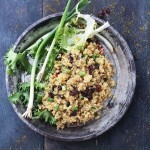 In a medium sized saucepan combine the water and quinoa; bring to a vigorous boil. 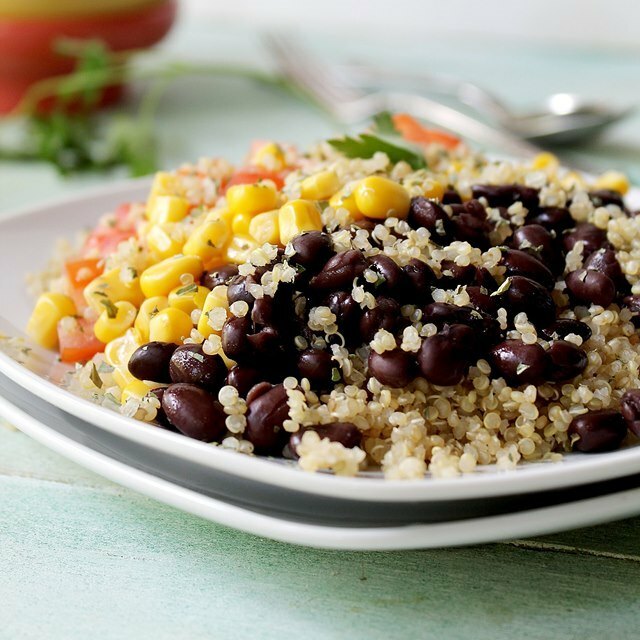 Reduce the heat, cover and let simmer until quinoa is tender, about 15 minutes. Serve with a dollop of plain yogurt. Chuck Norris for sure. Thanks for the recipe, it looks so tasty! This recipe was so good. The flavors were awesome. A definite keeper! 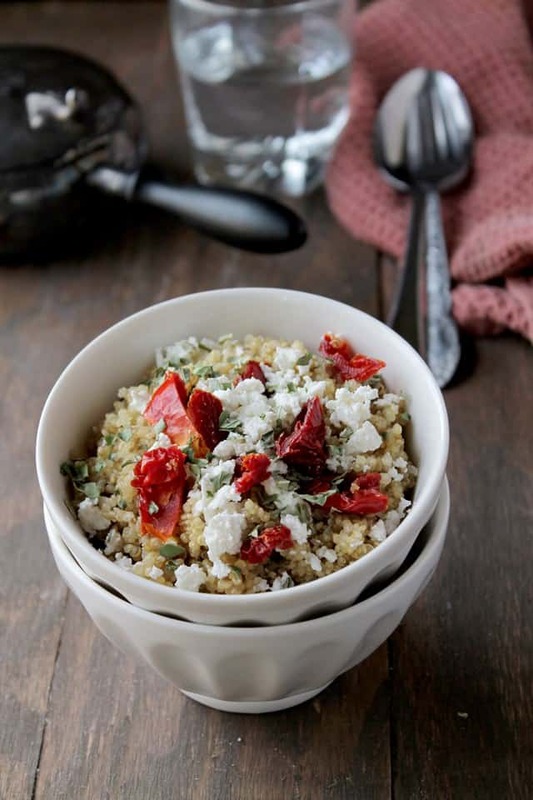 Yes please to curry and quinoa, I could eat that entire bowl! Hahahah totally agree about the how are you thing! That is always so awkward! This sounds wonderful! I love quinoa, love curry and love frying. Win all round! And lots of ingredients to help my body recover too! Love this idea so much – great flavors and the frying? Yum! My great grandmother always had the best food in her fridge. Everytime I came to visit, she would take it out and create a nice spread on the kitchen table for all of us. It was the best. This fried quinoa looks delicious. I fried quinoa last year, and now I’m addicted. I use quinoa in my restaurant but I never fried it. I am going to make this dish for my customers and family. Thank you. 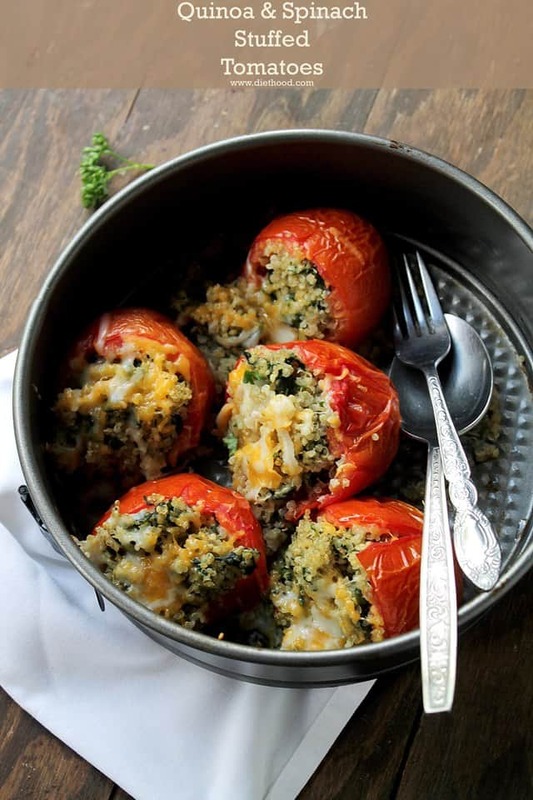 What an absolutely beautiful and healthful dish with good flavors. I’ve been wanting to try quinoa again (the first time I made, didn’t turn out great). I’m going to start with some of your quinoa posts to get me on track! Every time I stop by, you seriously blow me away! Sounds very interesting. I have yet to try quinoa but maybe, one day. Totally Jack Bauer will win!! I love your food styling here and the pictures are stunning. Love the styling here, Kate! And the dish sounds fantastic! Winter time just begs for some crispy crunchy fry action. Actually, spring does too. So pretty much, I’m all up in this dish any day of the week! I’d never wondered about frog’s ears but now I am so curious about it oh wow?? And also the “how are you?” thing gets on my nevers too. Ahh, why won’t they wait to hear my answer? I wonder the same thing about the Housewives. They are all getting divorced or they are single. 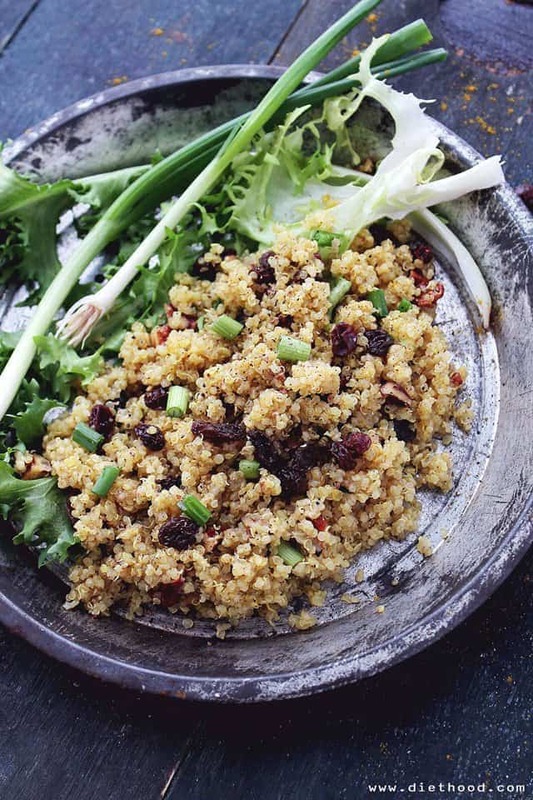 This fried quinoa is absolutely amazing.